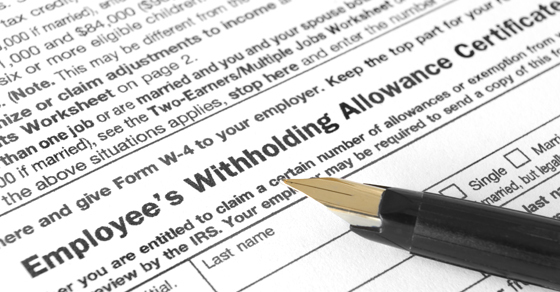 2019 – 03/14 IRS: Use our calculator now to review your tax withholding. The tax agency says that such a review will allow taxpayers to make any needed adjustments to their withholding decisions early in 2019. “This is especially true for taxpayers who adjusted their withholdings in 2018, specifically in the middle or later parts of the year,” the IRS said. The review is also important for taxpayers who received tax bills when they filed this year or want to adjust the size of their refunds for 2020. The IRS Withholding Calculator can be accessed here: https://bit.ly/2aLxK0A.